A company that you want on your side. With depth of experience in driver, enclosure and integration. 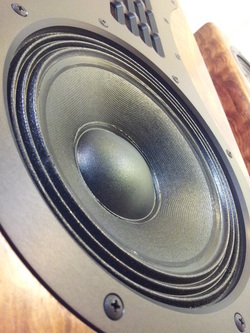 Design loudspeaker drivers. Test them. Build them. Prototype them. And engineer them to do better. Better than most others available. We are an OEM, ODM facilitator. System integration is the cornerstone of our company design work. We take the pieces and parts required to reproduce great music and make them into a product for you. A true vertically integrated design shop from the nuts and bolts to finished design. We have strong ties to Asian manufacturers that are renowned for their quality and ability. And we have access to top quality North American manufacturing capabilities that can ensure product integrity. Kravchenko-Audio has hands on work experience in almost every aspect of audio design from transducers to electronics to the finished speaker assemblies. We have the experience to help you get the job done. And the know how to get the tough jobs done well. Thinking outside of the conventional solutions. We provide unique professional capabilities in loudspeaker design and testing. With years of design experience and proven high performance products on the market. You can trust that your design and consultation work will be handled with professionalism, integrity, and the utmost discretion. The end result will be accurate, on time, and get you great results. Original Design Manufacturing, and Original Equipment Manufacturing. All the normal design of vented, sealed, enclosures and associated passive crossovers. Horn design and horn loaded loudspeaker design.